In today’s episode, we cover some often overlooked targeting options for Google Adwords. I also explain Youtube’s onsite director, where you can get a free 30-second commercial that is professionally made, Click Here For This. I’ve spoken tons about custom audiences and retargeting audiences on Facebook, but haven’t spoken much about Adwords. Many of the things I talk about in today’s episode aren’t new to Adwords, but I haven’t spoken about hem yet. The way that clients and potential clients are very different based on what action they are taking and what ad type you are using. Even within search network, when people are googling they can be searching for brand info, transactional searches or informational searches. That being said, make sure you are creating ads so that they engage in the correct way based on what activity their activity is. For any ad, choosing the correct ad type is only the first step, you then have to choose the correct audience, and this is what we dive into today. Adwords has custom audiences and remarketing audiences that you can use to create really detailed customer lists to show your ads to. 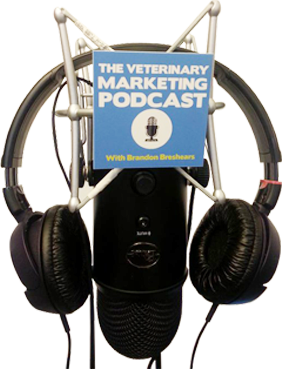 If you are actively working to drive traffic to your veterinary practice’s offers you should be comparing traffic costs and cost per results. You might be surprised that Google is cheaper and has a better ROI than what you’re currently testing.